The XVI Olympic Games were held in Melbourne Australia over sixteen days from 22 November until 8 December 1956. Melbourne won the right to host the 1956 Olympic Games by one vote over Buenos Aires. Australian quarantine laws were too severe to allow the entry of foreign horses, so the equestrian events were .. The Melbourne Cricket Ground (MCG) was the main arena for the Olympic Games and 107,700 attended the opening ceremony on November 22, 1956. HRH The Duke of Edinburgh opened the games. 104,700 .. The 1956 Melbourne Olympics was the first time that the Olympic Games were held in Oceania. Equestrian sports in Stockholm This is the only time in the Games' hundred year existence that the unit ..
WOW! Did you know we* are making a bid for the 2024 Olympic Games? In January 2013, Melbourne 2024 Bid (Melb2024) the unnoficial Melbourne 2024 Olympics bid twitter account contacted us to retweet .. Conducted against the backdrop of the Suez crisis and the Hungarian Revolution, the Melbourne Olympics began in October 1956. The Games were centred around the Melbourne Cricket Ground and in term .. The State Library of Victoria's 1956 Melbourne Olympic Games exhibition site explores the history of Australia's first experience hosting an Olympic Games and the impact it had on Australia as a natio ..
Games of the XXXI Olympiad (Rio 2016) from 5 to 21 August 2016. The 2016 Summer Olympics in Brazil opened with a spectacular opening ceremony on Friday�5 August 2016 (Saturday Australian time). ..
Games of the XXXI Olympiad (Rio 2016) from 5 to 21 August 2016. The 2016 Summer Olympics in Brazil opened with a spectacular opening ceremony on Friday�5 August 2016 (Saturday Australian time). 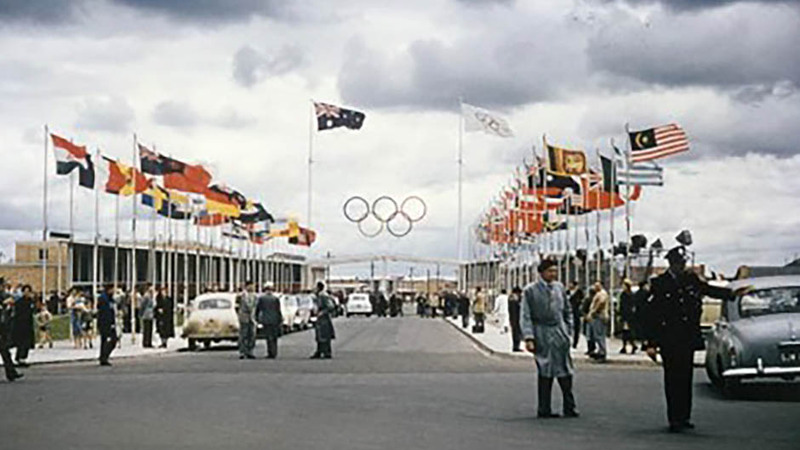 The Olympic Village was built in Heidelberg West as accommodation for the 1956 Olympic Games held in Melbourne, Victoria, Australia. The Olympic Village was built to house athletes competing in th ..